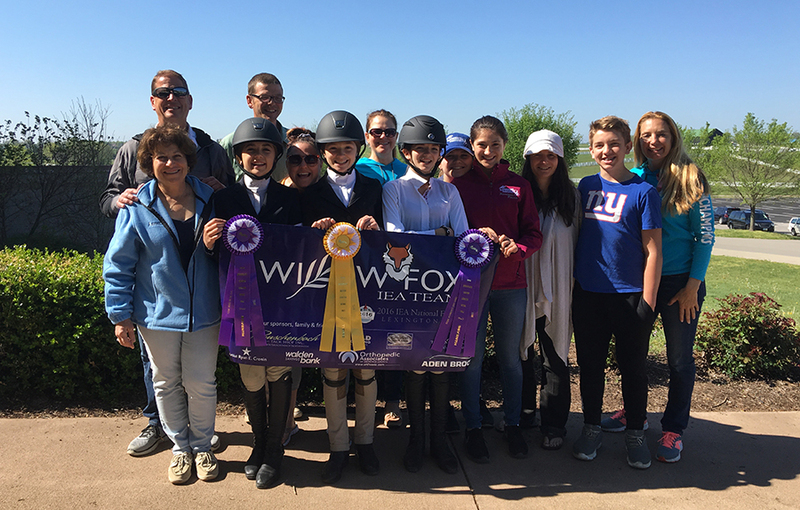 In 2013 Willow Hill Farm, in conjunction with Sly Fox Farm created our IEA (Interscholastic Equestrian Association) Team: Willow Fox. Our team has given our Middle School and High School riders, from both farms, the opportunity to compete at other facilities, on lesson horses provided by the Association, while enjoying the camaraderie, team spirit and support from their other teammates. Students can ultimately earn enough points to compete at a National level at the IEA Finals held in Lexington Kentucky. This has proven to be a wonderful experience for our students as well as our Coaches, Annette and Brad Whitmire of Sly Fox.